This picture was taken at this years Veteran's parade. I took this one about 2 hours before the parade. 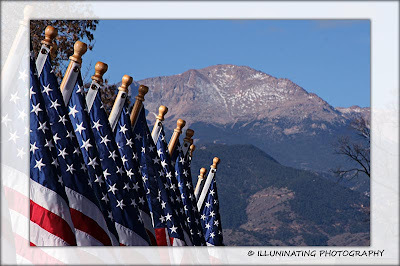 I like this shot because the flags are sequential and create a line leading the eye to the mountain. There was some Photoshop involved and some light color correction.